AFTER two rounds of competition, some impressive performers are already starting to emerge, from top-agers to middle-agers and even bottom-agers are impressing. 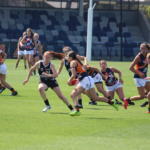 From players in their debut NAB League Girls season, to those earmarked as potential top players over the past few years, we look at some of the interesting statistics across the first couple of weeks. Greater Western Victoria (GWV) Rebels captain, Sophie Molan leads all-comers with 50 disposals in two weeks, while also covering the ground with ease, averaging two marks, five tackles, four inside 50s and three rebounds per game. 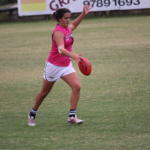 Molan’s Geelong Falcons counterpart, Lucy McEvoy is second, averaging 24 disposals, four marks, seven tackles, 5.5 inside 50s and 2.5 rebounds. After a Round 2 competition high of 28 disposals, Elisabeth Georgostathis ranks in the top five with 20 disposals, two marks, 3.5 tackles and 3.5 inside 50s. She also has the highest kick-to-handball ratio of 0.8. In third place and the other player over 40 disposals is Calder Cannons’ Georgie Prespakis who averages 20.5 disposals thus far this season, and after seven goals last round, has booted eight for the season so far to be ranked at the top of the goalkicking chart. 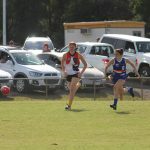 Teammate and Calder captain, Georgia Patrikios had 21 disposals on the weekend in her first game back this season, also recording seven inside 50s which is a stat she is likely to have plenty of playing on a wing and high half-forward. When discussing bottom-agers, one player who has held up in defence so far is Bendigo Pioneers’ Tara Slender, recording seven rebounds in both her games thus far, while still averaging 16.5 disposals, 3.5 marks, 2.5 hitouts and 2.5 tackles. 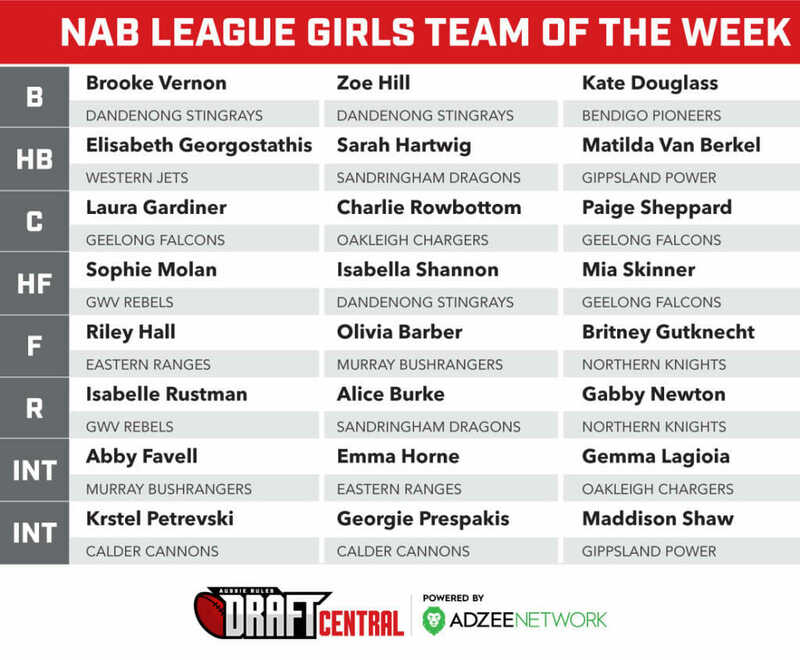 Gippsland Power’s Matilda Van Berkel and Geelong Falcons’ Abbey Chapman have registered 11 rebounds thus far in season 2019, while Slender’s key defensive partner, Kate Douglass has 10 rebounds to go with her 20 disposals. 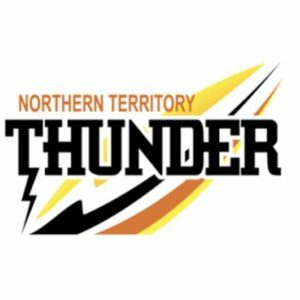 Another player coming off a top performance from Round 2 is Tess Flintoff who heads into Round 3 averaging 18.5 disposals and 7.5 marks – the leading marker in the competition thus far. 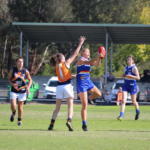 Oakleigh Chargers’ Emily Harley is averaging five marks per game to go with her 12.5 disposals and 3.5 goals – ranked second on the leading goalkicker charts. Flintoff also averages the most inside 50s of any player with seven per game, three more than McEvoy and Northern Knights bottom-ager, Ellie McKenzie. 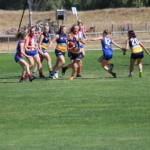 Looking at the defensive side of the game, Dandenong Stingrays’ Isabella Shannon has laid a league-high 18 tackles following her six-tackle performance in the Stingrays’ win over Sandringham Dragons. An opponent in that game was Alice Burke, who ranks second with 17 tackles from her two games. Bendigo Pioneers’ Brooke Hards is third, averaging eight tackles per game, as well as 15 disposals and three inside 50s. The final statistic to look at is the hitouts which is dominated by bottom-ager, Maggie Caris. The younger sister of Geelong AFL Women’s ruck, Rene Caris has already recorded 59 hitouts – a massive 30 more than any other player. 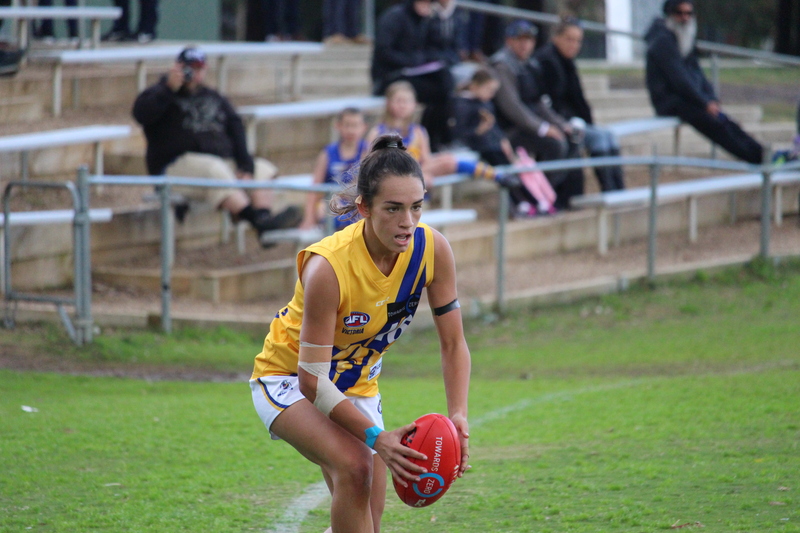 She averages 29.5 per game, ahead of Oakleigh Chargers’ Kalarni Kearns (14.5) and Northern Knights’ Jaime Nelson (14).